The most sought after pin by any trader at the Arctic Winter Games or Canada games, is the custom puzzle pin. Coming up with an effective custom puzzle pin design can be quite puzzling in its own right! Fear not because we have hundreds of puzzle pins to our credit. Use these tips to help you plan your next puzzle pin project. 1) Have a good reason for ordering a custom puzzle pins. The biggest challenge that puzzle pins present is creating a design looks good when its split into parts. 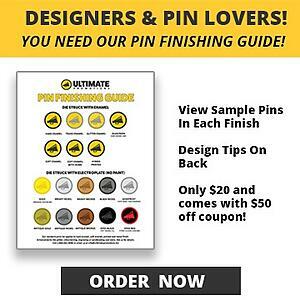 Unless the designer has some pin design experience, it usually doesn't work in our opinion. Its a very creative process that requires an understanding of metal finishing, enamel and mold making techniques. Sometimes our designers are shackled by poorly thought out puzzle pin ideas. As the saying goes, garbage in, garbage out. Our advice, if you don't have a really good reason or design concept for a puzzle pin, don't do it. 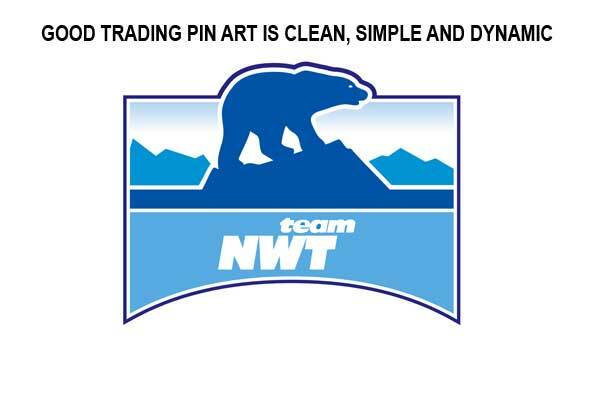 2) If you are designing custom puzzle trading pins in-house, ask a pin supplier for advice prior to getting your organization to approve the final design. Submit designs at actual size in adobe illustrator .ai format. Design at actual size and PRINT IT OUT to ensure legibility. Print and web designers often use a canvas that is 6-10x actual size to showcase art to host committees. When the design is reduced you often lose text legibility or space to inlay colour. 3) Use designs and techniques specific for lapel pins. We really like making our custom sport trading pins in sandblasted finishes or use semi-transparent enamels. Stay away from circles and squares with a logo set in the middle. Make the art protrude off the edges. Check out this example. You are looking at one part of a multi part puzzle pin. 4) Avoid "design contests" for puzzle pins. Puzzle pins are just too complicated. Design contests are great in certain situations. But in most cases kids design using crayons or felt markers. That limits your pin choice to the printed pin process. In our opinion, printed pins come off as "cheap" in most cases.